Being human means a lot of different cages, Imms thinks. Caught beneath covers, between walls. Bounded by yards, towns, regions, countries. Even the human heart is shrouded in ribs. Chance Assassin: A Story of Love, Luck, and Murder by Nicole Castle. A shame, since I love the serial killer trope. The Silvers by Jill Smith. The Borders War series, starting with One Breath One Bullet by S.A. McAuley. Honestly, I thought I was done with “the epics.” You know, those M/M series that are well known in the community: In the Company of Shadows, Special Forces, Captive Prince, The Administration, Adrien English Mysteries, etc. You might have loved some of these series, or hated them. Regardless, these are big names most of us are aware of. So imagine my surprise when I stumbled upon this (incomplete thus far) series that had lit that spark I thought had died long ago. I should just hand her my credit card and be done with it. Seriously, this woman could write a recipe for pancakes, publish it for a premium price, and I would still fork over the cash. I believe 2014 was a year of reckoning for me. I’ve only started reading M/M fiction in late 2012, when I felt flooded with all the possibilities of fictional adventures awaiting me. Fantasy, science fiction, historicals, contemporaries – I wanted it all. As long as it involved two dicks, I was pretty much on board! But it wasn’t until this year that I think I’ve settled. I was an overfilled pot of stew set to boil and quickly spilled over. The end result is something less than what I started out with. My appetite for all things M/M has certainly narrowed in scope. I’ve developed distinct “likes” and “dislikes” and feel comfortable within this self-discovered limit (with the occasional exceptions, of course). I prefer the stars and universe over a ranch in the mid-west; the trust of a blade carressing sweat-soaked skin over an “I love you” whispered on a midnight stroll along the beach; the end result of love shining through the haze of a battlefield as opposed to one discovered in the hallways of a college dorm room. This was also the year of my fanfiction addiction. I started reading Merlin fanfic in 2013, but started my addicted slope down Supernatural fanfic literally in January of 2014. This was actually a very important moment in my M/M reading life. Sounds kind of silly, but I’ll tell you why. Up till that moment, I felt like most of the books I’ve read had a limit it couldn’t cross. I didn’t even see this metaphorical line until I realized I was looking back at it after I had crossed. Fanfiction is an amazing construct – I feel like its writers don’t have to feel pressured to write within boundaries of “right and wrong.” That writers of fanfiction can write just about anything, can truly push your limits, because there’s nothing holding them back. Obviously, this isn’t absolute, and is a generalization – after all, not all fanfiction is of superb quality (just like not all published works can’t cross limits). But I’ve been fortunate in my discoveries this year through the Supernatural fandom (Destiel, not Wincest). I feel like a kid that had to travel away from home in order to learn of his or her true self. It’s like I’ve matured my reading palate for all things M/M through fanfiction. So in a way, 2014 was a sad year for me. The world wasn’t for the taking, and I was no longer choosing from an all-you-can-eat buffet where all the selectable items are things I enjoy eating. Instead, I’ve become a picky eater – and the world of M/M has narrowed in scope for me. But don’t worry, I’m not in a state of panic! It’s like the calm after a violent storm. I’m okay with it. It will be interesting to see where I go from here. Will I be ready for the new year? Probably not, but then again, who ever is? Honestly, it’s very simple: to continue reading good books/stories. I just want to be happy through my reading (and other means, but at the very least: reading). I find happiness in my books through strong emotions: tears, laughter, and to an extent: anger. Probably because I have a very limited range of emotions I experience through real life – I need something to stir up the stagnant soup that is my soul and let me feel like I’m alive. So I don’t care where my journey leads me – either through the trenches of a historical M/M war romance, or in a space ship where the main character is getting plowed by an alien tentacle (and loving it). As long as I enjoy my experience and can share with all my online friends, I’ll be happy. And that is what I’m looking for. I have been eyeing The Silvers for months now. I’m not a big sci-fi/fantasy fan, but I’ve heard such good things about this one. 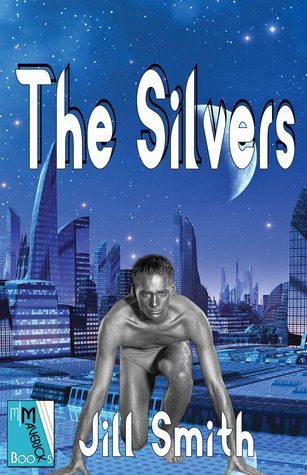 You should totally read The Silvers! It really doesn’t have too much science fiction element in it (asides from Imms being an alien). And most of the sci-fi stuff happens in the first half of the book if that helps. If you need a hand to hold, mine is always free! Wow! Loved your wrap up. Ehh, nothing wrong with fine tuning your reading palate. Too many books to not know exactly what hits your buttons. One of my highlights this year was finishing The Rifter…with you by my side. GAH! And then chatting with GH…couldn’t have done it without you. Happy New Year my friend, so glad to have you on the team this year. I have recently discovered I quite enjoy books in the Sci-fi & paranormal genres…so I’ll be picking up The Silvers for sure….thx Xing! 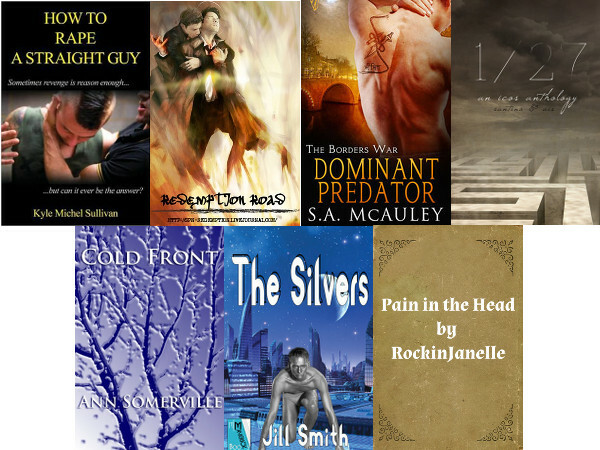 This entry was posted on December 30, 2014 by BioB in News, Reviewer: Xing and tagged ais, ann somerville, fanfic, jill smith, kyle michel sullivan, rockinjanelle, sa mcauley, santino hassell, supernatural, year-end.